Huh?? You may wonder what is so awful about these words. Luckily, kids are remarkably resilient. (To learn more about resiliency and how to help your kids build it, read this article by Jan Faull on the PEPS website.) If you have a positive, loving relationship with your child overall, a few harmful words will not damage that permanently. Almost all the things on all these lists of “things never to say” aren’t really that dreadful. 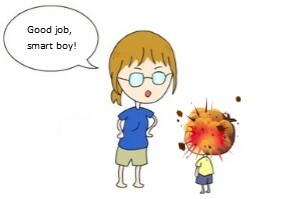 I promise you that if you say good job to your child, they won’t be permanently damaged!! However, there are many more things you might say instead, or in addition to, good job. Having an awareness of alternatives just helps broaden your list of options for how to connect with and guide your child. So, I read through all those articles on things never to say. And I’ve gathered all those phrases below. But I am NOT saying “Never say these things.” Frankly, for most of these phrases, it would be totally fine if you say them from time to time. But, they don’t want to be the only message your child hears from you. For each one, I’ll then share some of the negative or non-helpful ways the phrase could be heard by a child. Then I’ll offer other options for alternatives you can try out, and gives resources for where you can learn more. Unadulterated praise: Great job / Good girl / That’s a beautiful picture. You did that just right. What a perfect building you built! You’re the best ____ in the whole world! How your child might hear this: Could hear judgment – there’s only one right way to do things. Could feel like empty praise if you say it no matter what they do, even it it’s easy. Could imply they’ve reached their limit and you don’t think they can do any better. They may not trust you after they discover they’re not the best ____ in the whole world. Alternatives: Only praise things that took effort. Focus on the process and HOW they did it and what they learned rather than on the product. Give specific detailed feedback about what’s good, and what could be even better. Read about questions to ask to extend their learning. Read more about effective praise. How your child might hear this: Your love is conditional on their accomplishments. Also implies that your emotional well-being is dependent on their behavior. Alternatives: Let your child know that you will always love them, no matter what. (This doesn’t mean that all behavior is always OK – it’s not and you do need to set limits. And it doesn’t mean that you don’t have high expectations for them. You do want them to work hard and be good people. But your happiness should not depend on that. How your child might hear this: Anything less than perfect isn’t good enough. Labeling: You’re so [shy, smart, clumsy, pretty]. You’re the [strong, fast, silly, wild] one. You always… You’ll never… [lose, win, do anything wrong / right]. You’re worthless / a loser. Girls don’t do that / Boys don’t like..
Labeling your child limits them. If you label them based on a problem behavior, it becomes a self-fulfilling prophecy and they may continue to be that way. If you label them by a “talent” that they have, that creates a lot of pressure on them to retain that talent. They may worry about losing your love / their identity if they don’t succeed in that area. Alternatives: You do want to understand your child’s temperament, gender influences, and learning style and help support them in using their strengths to build confidence and work around the things that come harder to them. But don’t “label” kids or think they’ll never change. Praise effort, not talent. Let them know that everyone can get better at anything if they work at it. Learn more about the growth-based mindset. Alternatives: Let your child become the very best them they can become without worrying whether they are just like someone else. If you disapprove of a child’s behavior, tell them how to change the behavior. Try not to attack their identity or their sense of being worthy of your love. Implies that the problem is with them, instead of with the situation. Let me do it: Let me help you. Just let me do it for you. You’re doing it wrong, let me do it. You’re too slow, I’ll do it. What they might hear: Implies that they’re not competent. If you rescue your child from every challenge, how will they ever learn to do anything on their own? Don’t cry. You’re OK. What a dumb thing to get upset about. Don’t worry, it will be fine. There’s no reason to be scared, just do it. Alternatives: Validate emotions and pain first, then reassure. Once you’ve said “I hear that you’re scared / hurt / worried” then you can address logical reasons why you believe that it will be OK in the end. More on emotion coaching. What they might hear: This blanket message can make your child fearful of everyone and also limit their ability to learn the social skills they’ll need as adults who very frequently have to talk to strangers! Alternatives:Demonstrate / model how to be safe. Encourage them to look before leaping. Encourage them to tune into how they feel about something – if they’re nervous, there may be a good reason. When the risk is just a mild bump or bruise, let them test things. If they get that bruise, they’ll learn something important. Read more about teaching safety skills. What they might hear: Lies. And no tools for how to survive hardship. Please Go Aways: You’re in the way. I can’t get anything done with you around. Hurry up. You’re making us late. Shut up. I have better things to do than… Would you just leave me alone for 5 minutes? What they might hear: So, I totally get that children are terribly inconvenient at times, and that they make everything harder, and that we all need breaks sometimes!! However, these sorts of statements create stress and anxiety and make the child wonder if he is loved. If/Then: If …. then….. If you do [this bad thing], then you’ll get [this punishment]. Alternative: When … then…. “When you do [good thing that I’m expecting you to do], then we’ll get to do [this fun thing] together.” Learn more about punishment and reward. Wait till your father gets home. What they might hear: you don’t have enough power to enforce consequences. Alternatives: Consequences should be immediate, logical, and enforced by the parent who encountered the misbehavior. What they might hear: Feels a little vindictive, like you were hoping something bad would happen to them. What they might hear: It’s authoritarian. Implies that whoever makes the rules can make arbitrary judgments on a whim, and they have no control over that. Telling them how to do things they know how to do: Hang your coat up. Wash your hands. What they could hear: You think they’re now smart or competent. Also implies they only need to do those things when you tell them to. Don’t ______. Don’t throw that / spill that / hit the dog / slam the door. What they might hear: If you just tell them NOT to do, they first have to stop their impulse to do it (which is hard for a young child) and then figure out something to do instead (which is even harder.) Also, if they already know not to do that thing, you don’t want to pay too much attention to it, as attention reinforces behavior. You did that wrong. Why do you mess things up? What they could hear: Mistakes are bad. Don’t try anything you’re not sure you can do well. Here are lots more articles on these ideas. Would you like to print out a handout of this info for yourself or to share with friends or students or clients? Click here for: Words Matter 2. Includes a worksheet where you can practice re-writing sentences to be more effective. This entry was posted in Parenting Skills and tagged communication, criticism, discipline, kids, parenting, praise, preschool, toddler on November 19, 2018 by Janelle Durham. Young children love to sort things by color, or by shape, or by type (e.g. car or train?). They make sense of their world by seeing how things fit into categories. And in most cases, we encourage them to think about classifications – especially when it helps them to remember to put the Legos in the Lego bin, the books on the bookshelf, and the dirty socks in the laundry basket! But, when they try to sort out categories of people: race, gender, ability, age, and more, we tend to get all flustered. We worry about saying the wrong thing, causing offense, creating prejudice, etc. How might our kids’ perception be changed if we instead acknowledge and celebrate differences? After acknowledging it, you could say “we’ll talk about it later” or you could address it now. Try to figure out how your child is feeling. If they’re simply curious and wanting to learn something, then answer the question they asked. If you sense there’s any fear or discomfort for them, make some guesses about what that is and address it. Actively expose your child to other perspectives: Eat at ethnic restaurants, attend cultural festivals, visit museums which focus on other cultures, read books and see movies from many countries, learn bits of other languages. Seek out multi-generational communities – make friends with people of all ages. Connect with queer families. Attend public events hosted by faith communities. Choose to live in a diverse neighborhood and/or attend a diverse school. Talking about Inequity. In the early years, we can focus on building an appreciation for, and understanding of, a wide variety of differences. As they get older (around early elementary school), then we add in that even though people may be different, we all have the same rights and deserve the same fair treatment. In an increasingly diverse society, the more we try to pretend racism and sexism and such are things of the past, the more we allow them to persist. Having open and honest conversations about diversity will help us work together toward a more equitable society for all. This entry was posted in Parenting Skills and tagged children, diversity, kids, privilege, racism, tolerance on May 5, 2017 by Janelle Durham. Concerts: Red Tricycle has already assembled this great Guide to Free (and Cheap) Summer Concerts. It includes info about kid-friendly concerts at the Ballard Locks, the zoo (not free), Issaquah’s Spring Free trampoline, U Village, downtown Seattle, Seattle Center, Chateau Ste. Michelle, Kirkland, Issaquah, Sammamish, Everett, Kenmore, Redmond, and Tukwila. Most of the shows on here (though not Shakepeare’s tragedies… ) are good for ages 7 or 8 and up. We have brought a toddler / preschooler, but with lots of snacks, toys and sticker books to entertain him quietly, then we take him over to the wading pool or playground before or after the show. Greenstage Shakespeare in the Park is performing Cymbeline and Merry Wives of Windsor this year; their smaller scale Backyard Bard performances are of Pericles and Twelfth Night. 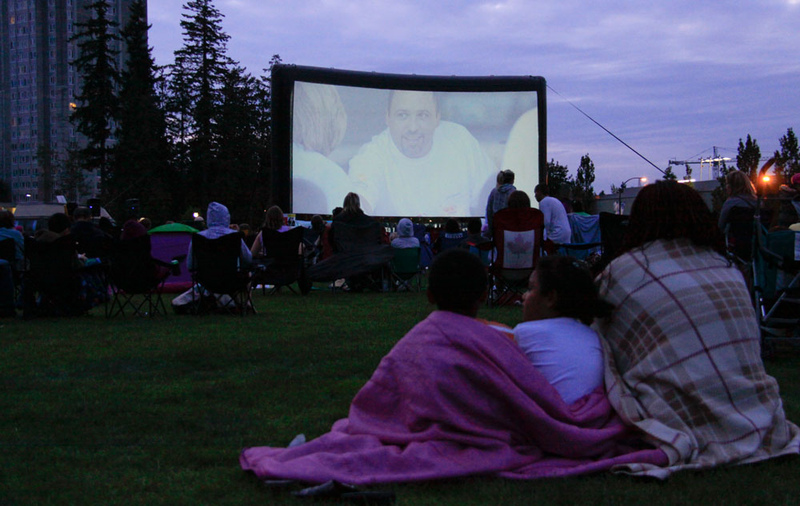 Season runs July 8 – August 13 at multiple parks in Seattle, plus Lynnwood, Maple Valley, and Fall City. 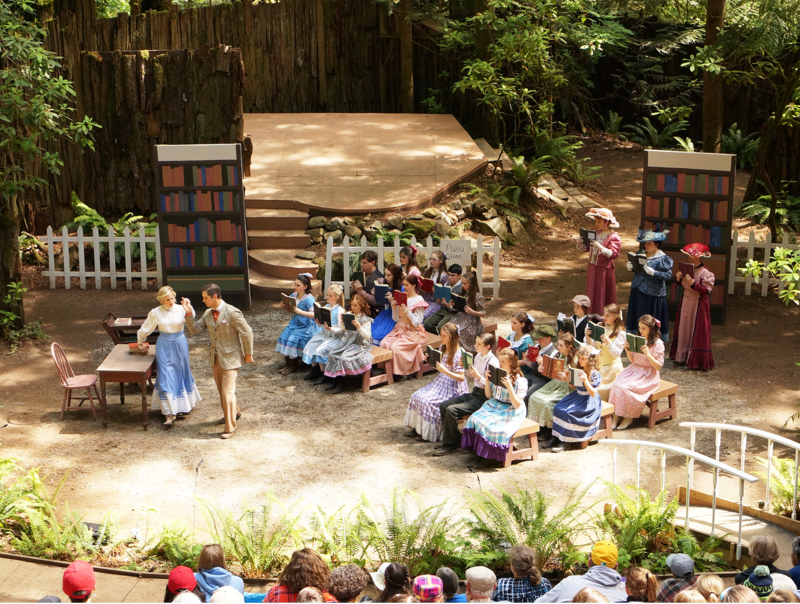 July 9 and 10 is the Seattle Outdoor Theatre Festival in Volunteer Park in Seattle, which features performances from Wooden O and Greenstage (see above) plus Last Leaf, Theatre Schmeater, Jet City Improv, 14/48 projects, and Young Shakespeare Workshop. Our favorite for years has been Jet City Improv’s Lost Folio, where they improve Shakespeare (yes, dialect and all) based on suggestions from the audience. Snoqualmie Falls Forest Theatre is doing Beauty and the Beast. July 23 – August 21. $10 to $20. Ages 5 and under free. Can combine nicely with a day trip to Snoqualmie Falls. Kitsap Forest Theatre (near Bremerton) is doing Little Mermaid. (They did the Music Man on the weekends from Memorial Day to Father’s Day.) July 30 – August 21. $10 – 20, 6 and under free. Leavenworth Summer Theatre is presenting Sound of Music, Singin’ in the Rain, and Beauty and the Beast. $14 – 32. Outdoor Trek. Each year, they perform live an episode of Star Trek The Original Series. This year will be Space Seed (where we first meet Khan). For those of you who have gone in the past, and roasted in the sun during the performance, it’s good to know that all shows start at 7 pm this year so we can sit in the shade. Seattle Public library programs for kindergarten to grade 5 kids include Scribble Machines, stories about Anansi the Spider, writing a picture book, making candy, learning circus skills, math in the music, creature feature from Pacific Science Center, and Little Critters from the Woodland Park Zoo. Locations throughout Seattle. King County library programs for age 3 – 12 include concerts by Nancy Stewart, the Exercise Everything Show, Bing Bang Boom show, games you can’t lose magic show, Team Tales, The Magically Ridiculous Game Show, and more. Locations throughout King County, including lots in the south part of the county. This entry was posted in Seattle area and tagged bellevue, concerts, kids, Kirkland, Seattle, theatre on June 28, 2016 by Janelle Durham. On Sunday, I was teaching a class to a group of 9 – 10 year olds. We were talking about the roles that need to be played by various family members to help the family life run smoothly. I happened to mention something about paying the bills so that the lights and the phone stay on. Multiple kids were shocked to realize that this is something their parents do that they were not even aware of. It made me think of the changes in financial awareness over the generations. When I was a kid, actual paychecks came to the house, and I went with my parents to the bank to deposit them, and then I saw my parents at home at the kitchen table writing checks for the bills, and mailing them, or if they didn’t get it in the mail on time, then we would go to the utility company’s office to drop off the payment. When we went to the store, my parents sometimes paid by check, but more often we paid in cash. You could see how much things cost by how many bills got counted out and handed over. Mom often had a handful of coupons with her at the store, that I had helped her clip. Money was a physical object and our financial life had a visible presence in our house. So, how do we build financial literacy? What are the money-world equivalents of teaching the ABC’s, then how to read a Dr. Seuss and then on up to literary critique in high school? This post is full of ideas of where to start teaching your child about money, and what to teach them. I will often share my personal decisions about how to handle this, but that’s not because I think it’s the one right way – it’s just so you have an example of how one family has made these decisions. You should do what is right for your family! I’ll also offer tips from other sources. Physical Manipulables: When we’re building pre-literacy skills with children, we give them alphabet puzzles and magnetic letters to stick on the fridge. To build money literacy, it helps if they can handle actual physical money. As soon as they’re past the mouthing stage, they can be given coins to play with, to practice counting, and to use in pretend play. Once they’ve mastered simple counting of pennies, you can teach that ten pennies is the same thing as a dime. Equivalency is both a great money skill and a great math skill. 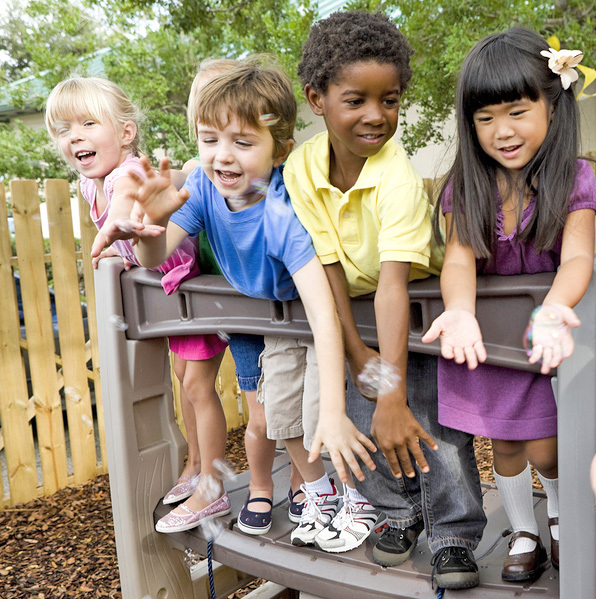 Later in pretend play, you could charge a specific amount and have them make change. Let them help you count real money for real purchases: When I go to McDonald’s, I know a drink will cost $1.10, so even before I go to the counter, I can have my child help me count out this much money. At the farmer’s market, I can see that the berries will cost $3, so he can help me count that out. At soccer, when we buy a bracelet for the bouncers(which we do often, so the staff knows us), I give my five year old cash, and he goes to the counter to buy it. Before he goes, I ask him if he need to wait for change or not. As they get older, they can take on odd jobs outside the house. (Check out Ways for Kids to Make Money – a collection of ideas.) When they reach legal working age, you can decide whether you require that they get a job, and if so, do you require that they share a portion of that income with the family. For some families this is a financial necessity. For others, it may be more of a lifestyle choice. Allowance: Many families choose to give a weekly allowance, if their family finances allow for that. How much? Some people say $1 per year old. Some may do 25 cents per year old. How much is appropriate for your family depends on your finances, but also on how your child will use it – what you buy for them, versus what they buy for themselves. What do they use allowance for? For child #3, we started allowance last November when he turned 5 and was starting to understand math and money. He gets $1.25 per week. He has to save 50 cents, put 25 cents in the give-away jar (see below for more on these ideas) and can spend 50 cents. Which pretty much means he buys candy at gymnastics, and a super ball at soccer. Each time, before he puts the money in the slot, I ask him to pause… I say “you have two quarters this week, and you’re spending one of them now. Is that what you really want to do or do you want to save it for something else?” He always chooses to do it, but I want to teach that idea of Pause-To-Be-Sure before you spend the money. His spend money at this age is pretty much about whatever he WANTS – we take care of buying the things that meet his NEEDS. What is allowance for – how do you earn it? Some people make allowance the child’s salary for doing chores, and if they don’t do the chores, they don’t get the money. The advantage to that is it is closer to what they’ll experience in future paying jobs. Personally, I don’t like it because it implies that household chores are optional. My oldest child who doesn’t care much about money and doesn’t like doing housework would have happily opted out of this system. Cash Rewards? Cash for Extra Chores? It’s good to make a conscious decision about whether there are other ways for your child to earn money. Many parents give cash for good grades. We do not. Just as my job is to go to work and do a good job, their job is to go to school and do their best there. (And again, the rewards we get for that are things like housing, food, electricity and spending money…. ) Sometimes, we do go out to eat or go to a movie to celebrate when someone’s done an especially good job at work or school. But it’s not a guaranteed cash reward. We do pay for extra work outside of normal chores. That might be extra household chores like scraping moss off the driveway, or hemming the new curtains, or re-organizing the garage. Or, it might be doing things for my workplace. I work at non-profits, and I’ve “hired” my kids over the years to help out with some tasks that my employer can’t afford to pay a grown-up to do. So, from my agency’s point of view, my kids are volunteers, but I pay my kids extra to help. This has been everything from preparing bulk mailings to helping inventory class supplies to entering outcome evaluations data into spreadsheets. My middle child, who has always been motivated to earn money, was pretty much a fully trained admin assistant by the time she was 14. She taught my co-workers how to use the postage meter and other office equioment. There’s a 13 year gap between my second child and my third, so many people joke that I have built-in babysitters. Here’s how we’ve handled that. In general, my husband and I are responsible for the little one. We are his parents, my older kids are not. But my older kids are expected to help out… if they’re in the kitchen and he asks for a glass of milk, they pour it. If he’s crying and I’m making dinner, they can choose to take over dinner prep or work with him, but they have to do one of those things. That’s just part of the jobs of the family, just like cleaning house is. If I need to run an errand, and they’re just hanging out at home, I leave him with them. But, if there’s a time when we need a babysitter where if we did not have these older children we would have to hire outside help, then we pay them for that time. So, when I worked on Tuesday nights all through one child’s senior year of high school, she watched her brother, and I paid her for that. When I was a kid, most kids got allowance as pure spending money – we could waste it on whatever we wanted. Many experts now recommend a different approach, that involves an essential idea of money management – saving some money for the future. And many add in a component of charitable giving. A spending bank for money to be used soon on everyday things. 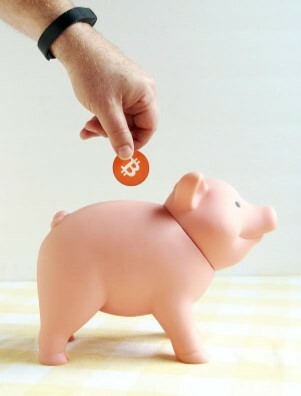 A saving bank for money to be used later on larger items. An investing bank for money that will be used several years from now. A giving bank for gifts to help others. The Share Jar or “Giving Bank” can be only for charitable giving; or some families also use this for gifts for family and friends. Having a Share Jar is one way to talk about your family values with your child – is it important to give to people who have less than you do? Or important to give to causes that are important to you? Talk about it. This article by Sahara Pirie offers a variation of four jars. Her child was required to put 10% of her allowance into each jar, and then divide the other 60% up as she saw fit. Financial Freedom (“We explained that the money would “never come out,” but would grow for when she wanted to retire. We later helped her transfer the money from the jar into a savings account, and later she will get to move the funds, if she wishes, into her own investments.”) Note: I personally find this definition of the financial freedom jar far too abstract… If I were to do it, I would wait to add that jar till my child was in high school, and I would tell them that was their rainy day fund for when they enter adult life after college. We used the three jar concept with our older kids….. kind of. But, we were not as successful as we could have been with it. Most weeks when allowance day rolled around, we didn’t have cash, so we kind of scribbled down notes about where money would go or sort of kept track in our heads… really, we didn’t keep good track. So our kids didn’t really learn the lessons well. It would work much better to actually have real physical cash in hand. Especially for younger kids (say under age 8) who really need concrete objects to help them understand abstract ideas. We just need to go to the bank and get the cash stash we need to make this happen. This points out a key thing to remember about allowance: whatever system you set up, make sure it’s easy for you to maintain. Consistency is important! We were not good with our older kids about setting goals for the savings jar. What tended to happen was they would build up a sum in there for a while, and then spontaneously decide to buy something pricey and use up all the money they saved. It would be much better to set a goal for something that’s important to them, develop a savings plan, track progress, and so on. This allows you to teach financial skills like budgeting, but also allows for more discussion about family values and priorities. Recently, I had a discussion with my siblings (all in their 50’s) and we each remembered a story from our teens about we had worked very hard for and saved a long time to buy – a guitar, a stereo, a used car, a week at camp… we remembered lots and lots of hours of hard work babysitting, snow shoveling, weed pulling. We remembered tracking our progress toward our goal (and standing outside the music store window and dreaming) and the sense of accomplishment when we achieved what seemed an unreachable goal. Do your kids know how much you make? (roughly) Do they know how you make financial decisions? They should! You are the biggest role model they’ll ever have for how to manage money. Talk to them about it. Be open and honest. Talk about your struggles and your mistakes. Talk about the smart choices you have made. Wants versus Needs: We had a lot of long talks with our kids about the difference between what we want and what we need. We generally took care of their Needs, but they were on their own for Wants. My daughter told me recently that she remembers when she was young having no idea what that meant, but growing in understanding of it over the years. Right now, with two in college, the rule is we pay tuition, room, board and books. That’s it. No more money for anything. If they choose to go out for pizza or a movie or want clothes or whatever, that’s on their dime. We also require that they get summer jobs. (We told them we required part-time school year jobs, but somehow that hasn’t happened….) Our older one has had some mighty lean Aprils and Mays when all the year’s money is used up, and a paycheck won’t come till May. We also told them that if they did badly in school and lost their academic scholarships, they would be required to take out loans and cover all those costs themselves in the future. Or if they took more than four years to complete a degree, they would need to take loans for that extra time. Mistakes – Do you bail them out or make them live with the consequences? The only way that our kids really learn anything is to have full responsibility for it. And that includes responsibility for their mistakes. So, remember the year that my middle child spent all her back to school money on one expensive dress? At the time, she rationalized it as “I have lots of older clothes that are fine. So I’ll be fine with nothing else new.” About a month into the school year, she was regretting having no new clothes. And as much as she loved the dress, it wasn’t really something she could wear often. So, she suffered through some regrets, and then ended up taking on lots of extra jobs at home and for my work in order to supplement her clothing supply – with lots of carefully chosen items from the consignment store. Remember your children are watching you! I learned from my parents a lot of thrifty habits (coupons, budgeting, reading the insurance bills to make sure everything got paid correctly, and so on.) But I also learned that careful planning led to having money left over in the year’s budget to allow for special family trips. One of my friends learned that when the monthly paycheck came, life was great for the next week or so – lots of special treats, going out to eat, going to the movies and so on. But, for the last week of the month… scraping to get by, not having enough food in the house to make a lunch for school, and so on. As an adult, she’s had to figure out how not to slip into this trap. What are you modelling for your child? The Money on the Bookshelf curriculum incorporates children’s books into a financial literacy program. Reading and talking about books is one of the best ways for parents to teach children. Here’s a sampling of recommendations from their chart on recommended books, and what key money management concepts each book teaches. As you read to your child, talk about: Why was it hard for the sheep to make a decision? They didn’t have enough money – how did they solve this problem? Working through one of these books and lesson plans every few months, starting when your child starts kindergarten, would be a great way to ground them in some good financial decision-making skills. Money on the Bookshelf curriculum. This is a fully fleshed out curriculum (even includes icebreakers and evaluation tools if you’re an educator who wants to use this in a group setting.) It is for teaching financial literacy to parents of children age 4 – 10, especially low income parents. It covers everything: one section is on developmental characteristics of each age, and what you should teach at this age. MoneyBunny.com has .pdf books and .mp3 audio stories about saving money. There are also follow-up activities for teachers / parents to do after the story. This entry was posted in Parenting Skills and tagged allowance, financial skills, kids, money, parenting on February 9, 2016 by Janelle Durham. There’s an article by Parents Magazine that I often see shared on the internet. It’s titled “10 Things You Should Never Say to Your Kids.” When I see that headline, I think of things like “You’re worthless.” “I hate you.” “I wish you’d never been born.” Those probably should fall in the category of things never to say to your kids. Or to anyone else’s kids, for that matter. Now, when you read their article, it’s actually got lots of good content, with some helpful tips. It’s well worth a read. I agree with them all and I’m not concerned about the topic so much as the tone that is presented by the headline. But, Parenting magazine knows the rules of modern media. When you want people to read a title on Facebook and click through to read the article, it helps to include a number in the title (“5 reasons chocolate is healthier than kale”) and it helps if they can convince readers that if they don’t read the article something terrible will happen to them or their children. (“Follow our screen time tips or your child will be brain damaged for life.”) Companies who advertise on a magazine’s website appreciate those “clickable” titles, because it means more people look at the article, and thus at their ads. So, I read through all those articles on things never to say. And I’ve gathered them all [well, almost all] into the left hand column of this table. But I am NOT saying “Never say these things.” Frankly, for most of these phrases, it would be totally fine if you say them from time to time. But, they don’t want to be the only message your child hears from you. The middle column is just to help raise awareness of how these phrases could have a negative impact if over-used over time. The right hand column suggests other options you can try out, and gives resources for where you can learn more. What a perfect building you built! You’re the best _____ in the whole wide world Empty praise – if it was something that was really easy for them to do, it’s weird to say good job. Judgement – implies that there’s one right way to do things. They’re reached their limit – you don’t think they can do any better. They’ll someday realize you’re lying or exaggerating and lose faith in your judgment. Or they’ll feel pressure to really become the best. Only praise things that took effort. Focus on the process and HOW they did it and what they learned rather than on the product. Give specific detailed feedback about what’s good, and what could be even better. Read about questions to ask to extend their learning. Read more about effective praise. I love it when you…. Girls don’t do that / Boys don’t like.. This is all labelling. Labelling your child limits them. If you label them based on a problem behavior, It becomes a self-fulfilling prophecy and they continue to be that way. If you label them by a “talent” they have, then that creates a lot of pressure on them to retain that talent. They worry about losing your love / their identity if they don’t succeed in that area. You do want to understand your child’s temperament, gender influences, and learning style and help support them in using their strengths to build confidence and work around the things that come harder to them. But don’t “label” kids or think they’ll never change. Praise effort, not talent. Let them know that everyone can get better at anything if they work at it. Learn more about the growth-based mindset. Why can’t you be more like….Stop acting like a baby. Good girls don’t…. The first labels them (see above). The second means they’re always being held to someone else’s standard. These statements are intended to shame a child. “A child’s self-identity is shaped around the things they hear about themselves.” Let your child become the very best them they can become without worrying whether they are just like someone else. If you disapprove of a child’s behavior, tell them how to change the behavior. Try not to attack their identity or their sense of being worthy of your love. You’re too slow, I’ll do it Implies that they’re not competent. There’s no reason to be scared, just do it Dismisses their feelings as unimportant. Tells them not to trust their intuition and just do things even if they seem risky. (This could get them into all sorts of trouble as teenagers.) Validate emotions and pain first, then reassure. Once you’ve said “I hear that you’re scared / hurt / worried” then you can address logical reasons why you believe that it will be OK in the end. More on emotion coaching. Don’t talk to strangers. This blanket message can make your child fearful of everyone and also limit their ability to learn the social skills they’ll need as adults who very frequently have to talk to strangers! Model appropriate ways to interact with appropriate strangers. Talk to them about how to tell the difference. Read more about how to help your kid judge whether to talk to strangers. Be careful. If over-used, can create a fearful child who thinks the world is a dangerous place. Also: Teacher Tom says: “An adult who commands, “Don’t slide down that banister!” might be keeping a child safe in that moment, but is… robbing him of a chance to think for himself, which makes him that much less safe in the future when no one is there to tell him what to do.” Demonstrate / model how to be safe. Encourage them to look before leaping. Encourage them to tune into how they feel about something – if they’re nervous, there may be a good reason. When the risk is just a mild bump or bruise, let them test things. Someday they’ll get that bruise, and they’ll learn something important. Read more about teaching safety skills. I can’t get anything done with you around. Hurry up. You’re making us late. Would you just leave me alone for 5 minutes? We all know that children are terribly inconvenient room-mates who just make everything harder. But, we don’t need to tell them that every day! These sorts of statements create stress and anxiety and make the child wonder if he is loved. Give positive, concrete suggestions for other positive, concrete things they could be doing in the moment. If …. then….. If you don’t do [this bad thing], then you’ll get [this punishment]. “I’m expecting bad behavior and am looking forward to punishing you.” When … then…. “When you do [good thing that I’m expecting you to do], then we’ll get to do [this fun thing] together.” Learn more about punishment and reward. Wait till your father gets home… Makes someone else into a bad guy. Implies that you don’t have enough power to enforce consequences. Consequences should be immediate, logical, and enforced by the parent who encountered the misbehavior. Here is a PDF of this table on Words Matter. This entry was posted in Parenting Skills and tagged criticism, discipline, kids, parenting, praise, preschool, toddler on December 1, 2015 by Janelle Durham.